The bio of Richard Gregg | Launceston Then! Richard was born to Edwin and Eliza (nee Jory) Gregg in 1892 at Flushing, Cornwall. His father was the local Headmaster and his mother a teacher. On leaving school he trained to be a teacher himself but with the onset of the First World War Richard enlisted in October 1914 with the Royal Flying Corps (Service No. 1771). At the time of joining he listed his employment as being a Chauffeur. He gained rapid promotion and by July 1917 he was made a sergeant. However two months later he was reduced to Corporal for disobeying a senior officer. He was later badly gassed. After the war he went to Canada where he was engaged in the Fraser River salmon fishing before returning to this country. In 1928 he came to Launceston and purchased the East Cornwall Garage in Western Road, which he ran until his retirement in 1954. He married Gladys Perkins at Falmouth in 1916 they never had any children. For many years he was a member of the Dunheved Lodge (No. 789) of Worshipful Master of that Lodge. Earlier he had been a member for a long period of the Love and Honour Lodge (No. 75) at Falmouth, of which his father was a Past Master. 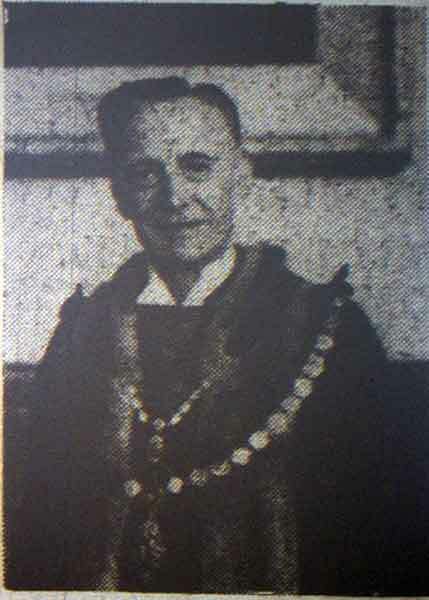 Richard was also a president of Launceston Chamber of Trade, an honorary vice-president of Launceston Brotherhood and a member of the Launceston Branch British Legion. Richard was a committed Methodist and was a regular at the Wesleyan Chapel in Castle street. On retiring he moved to Trefusis, Pipers Pool. He passed away July 1956 at his home. The funeral was held at the Wesley Church in Launceston with members of the Dunheved Lodge forming a guard of Honour with Freemasons also carrying the coffin. Also in attendance in state were the Mayor, Mr. W. G. Mooney, and the corporation. The service was conducted by Rev. H. W. Charity and the organist was Mr. Morcom of Gunnislake. Rev. E. Richards, who later conducted the service at Efford Crematorium, paid tribute to Richard. He left the sum of £3,009 15s. 4d. in his will.